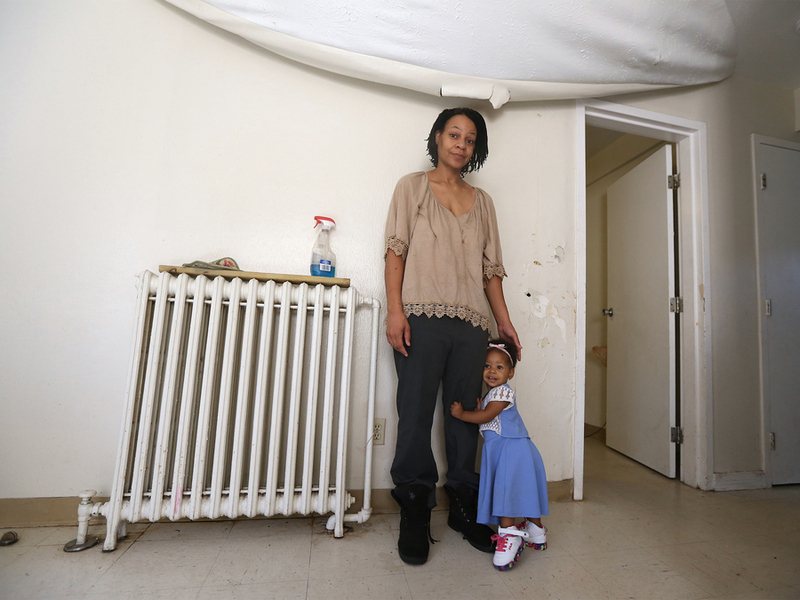 CINCINNATI -- Marlina Ezell first noticed the problem in late June -- a small crack in her living room ceiling caused by a leaky radiator on the second floor of her Winton Terrace townhouse. 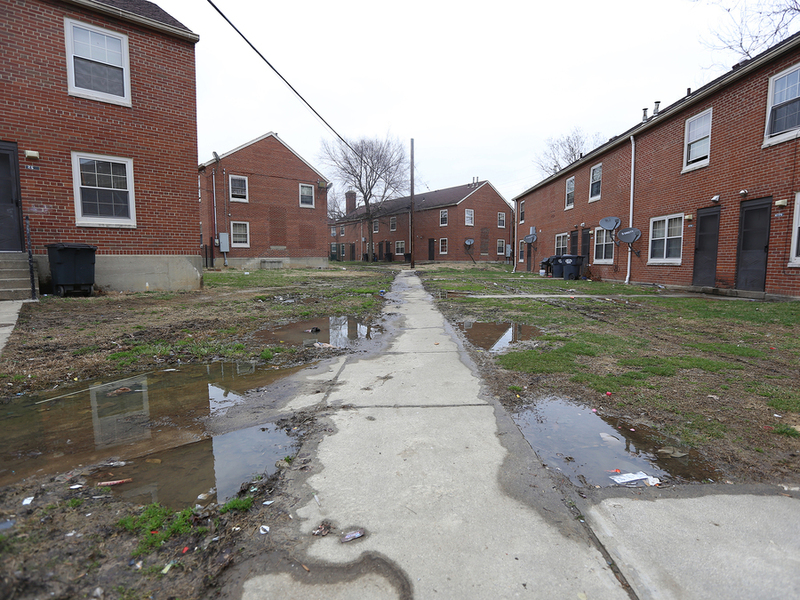 She called Cincinnati Metropolitan Housing Authority to report the problem and get it fixed, she said, but nothing happened. She called again in mid-July as the leak continued and the ceiling sagged lower and lower. Still nothing. After weeks of worrying the ceiling would fall on her five children, Ezell went to someone she knew could help: Moneaca Collins. Ms. Mo, as she’s known, is president of the Winton Terrace Resident Council and a force to be reckoned with when it comes to looking out for her community’s children and families. Collins got the Cincinnati Fire Department to look at the radiator and ceiling at one point. She finally called a city building inspector, attorneys from the Legal Aid Society of Southwest Ohio and reporters from WCPO to check out Ezell’s townhouse. She had everyone go through Juanesha and Keith Thomas’ place, too. The Thomases had been trying to get CMHA to address a mouse infestation in their home for nearly two years. 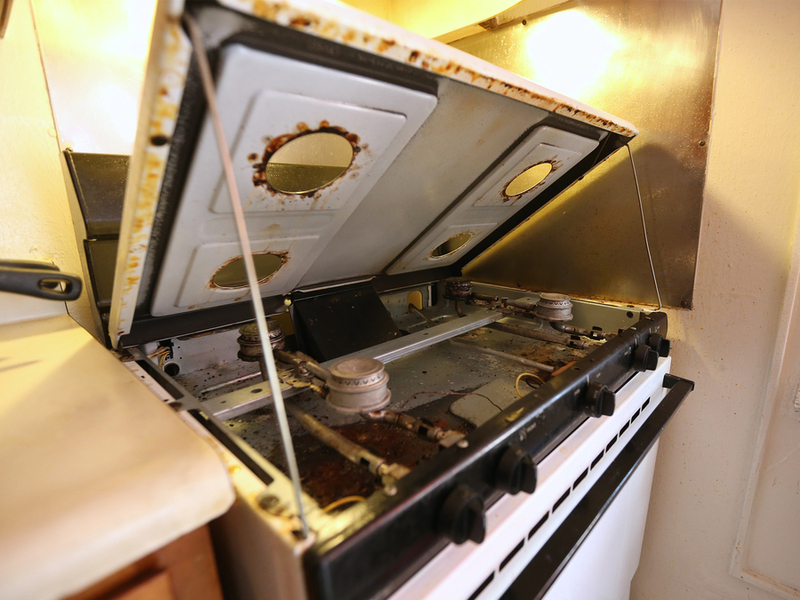 Within a week, the housing authority got Ezell’s ceiling fixed and repainted and delivered a new stove for the Thomases, replacing one that had literally been crawling with mice. 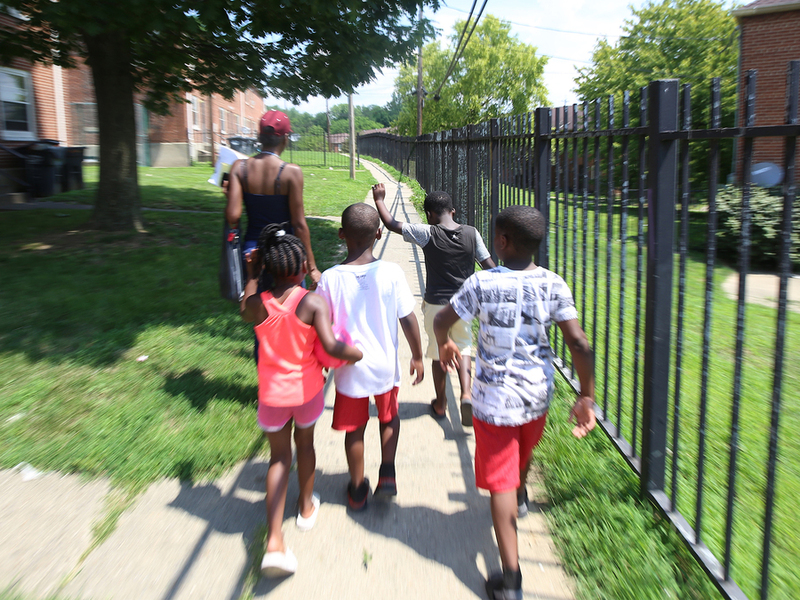 Ms. Mo’s mission isn’t focused solely on getting CMHA to make repairs and address safety concerns at the sprawling, 600-unit public housing development that the housing authority owns and manages. She also pushes to make her neighbors accountable. She threatens them with $100 citations for trash outside their homes, shows them how to keep their places clean to help keep bugs out and scolds them if their kids aren’t in school when they should be. WCPO has watched Ms. Mo in action over the past six months as she has worked to make Winton Terrace a better place to live for her own family and her hundreds of neighbors. Ms. Mo stressed that it's not her goal to anger or to battle with CMHA. She sees the housing authority as a partner. The housing authority welcomes the partnership of residents like Ms. Mo, a spokeswoman said in response to WCPO’s questions about her work at Winton Terrace. Wardlow’s statement also addressed the concerns about Ezell’s ceiling and the mouse infestation in the Thomases’ townhouse. 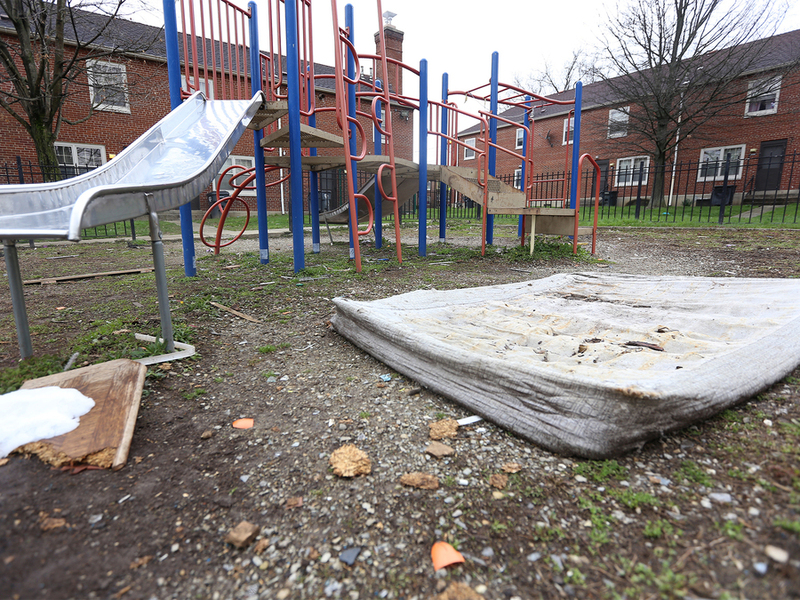 “As to the two maintenance items you mentioned, CMHA has addressed them," Wardlow wrote. "We strive to respond to all residents’ maintenance requests as soon as we can. After looking over our records, in both cases, it appears we responded to address those items within our established guidelines." 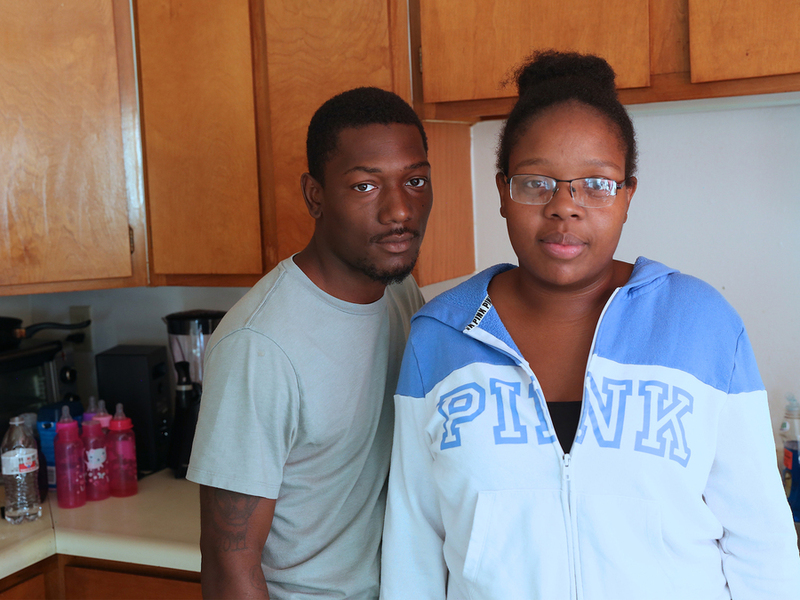 Responses like that frustrate residents like Marlina Ezell and Juanesha Thomas. Ezell’s ceiling looks great now, but she said she is worried the radiator will leak again when it gets cold outside and her family needs the heat. Thomas and her husband appreciate the new stove. But she said CMHA has been setting glue traps and occasionally patching holes in their place for nearly two years, and it hasn’t solved the problem. Thomas does janitorial work for UC Health and cleans her townhouse constantly. Every time she and her husband use a broom to clean up a dead mouse, they buy a new one. She struggles to keep her nearly 3-year-old son out of the kitchen for fear he will find a dead mouse or mouse droppings before she does. She won’t let her 8-month-old daughter crawl on the floor for the same reason, but even that that hasn’t been enough to protect her. One afternoon, Thomas said she saw a mouse crawling around near her daughter in the playpen where the baby was sleeping. Ezell’s ceiling and the Thomases’ mouse infestation are just the latest crusade for Collins. Earlier this year, she reached out to Cincinnati City Councilwoman Tamaya Dennard to get help for a Winton Terrace mom whose home was so infested with roaches that Collins said the insects were falling out of the ceiling. Collins didn’t stop with asking Dennard to talk with CMHA, though. She also asked the councilwoman to talk with the resident. Collins has a way of holding her neighbors accountable and empowering them at the same time. 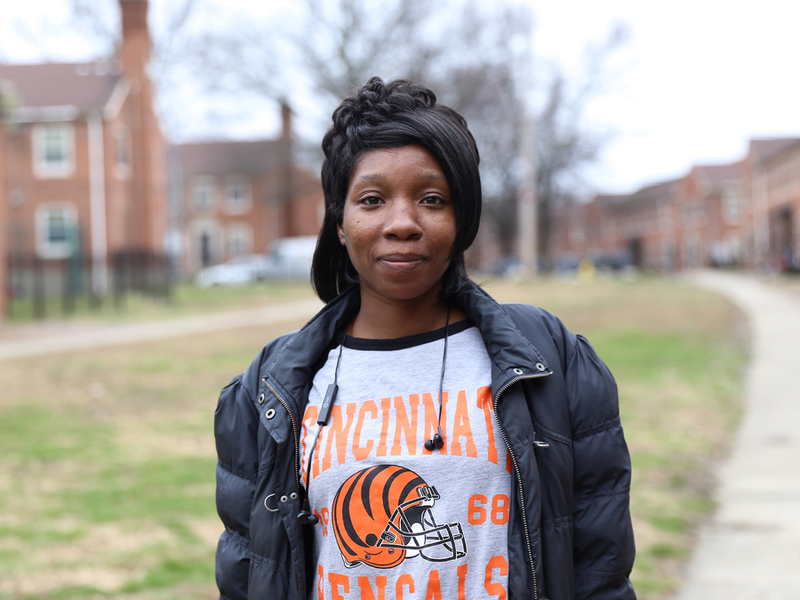 Dennard watched her teach a group of children how to cross the street safely at a particularly dangerous spot in Winton Terrace. WCPO was there this past summer when she showed four young children how to get from their townhouse to the community center to get free lunches. “Are you going to come get us every day and take us to lunch?” a little girl asked Collins. “She will not be stopped,” Gillam said. But Ms. Mo hasn’t always been the unstoppable advocate she has become. As a child, Collins lived in Findlater Gardens, a CMHA community in Winton Hills not far from Winton Terrace. She lived there for a time as a young adult, too, when she got her own apartment. She moved around a lot, living in Columbus and Youngstown and even Georgia for a time. She got educated in early childhood development and earned and saved enough to buy a house. She lost it during the housing crisis. Collins got hooked on drugs and lost custody of her children before she got her life back on track. She checked into a rehab program and fought to regain custody of her sons. She became a peer recovery support specialist and came close to becoming a real estate agent in Georgia. She and her two younger sons were homeless for a time after they moved back to Cincinnati. They stayed at a shelter operated by Bethany House Services for a month until a townhouse opened up for them at Winton Terrace in mid 2016. At first, Collins was disappointed to be back in the neighborhood and vowed to earn enough to move as quickly as she could. Then CMHA opened up the wait list for the Housing Choice Voucher Program, better known as Section 8. She got more and more involved with the resident council and eventually became president. Collins was upbeat at the start of this year, focusing on how crime at Winton Terrace was down and how her emphasis on accountability had the potential to bring big changes. 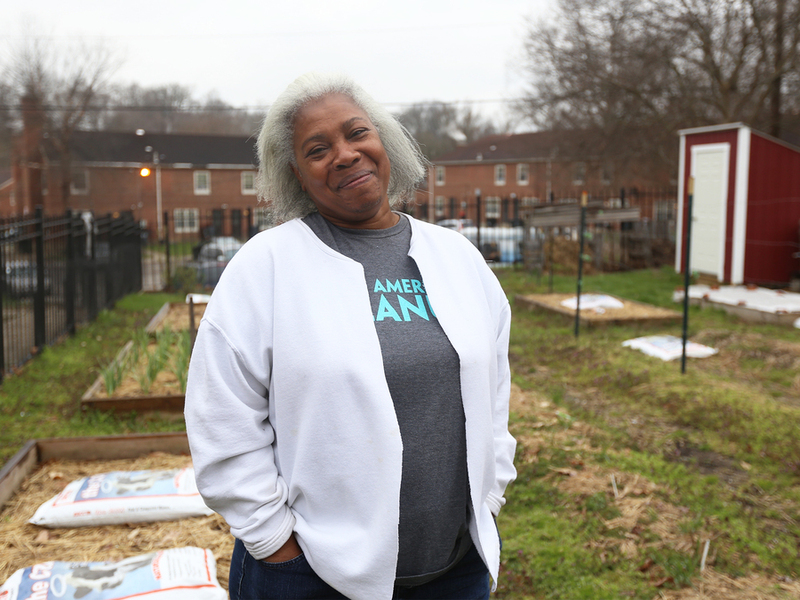 She joined forces with Robin Jones, known as “The Garden Lady,” who has worked with Turner Farms for the past two years to grow fresh fruits and vegetables for Winton Terrace families. The community garden has had tomatoes, potatoes, blueberries, raspberries and fresh herbs. This year, Jones was excited about growing peanuts. Children have been surprised by how sweet a carrot can taste after Jones pulls it from the ground and how many things she can grow in the beds right outside her own townhouse, not to mention the bigger community garden. Collins used resident council funds to buy summer memberships to the nearby Winton Hills Recreation Center for as many kids as she could afford. A walk through the rec center in July yielded shouts of “Hey Ms. Mo!” and hugs from the children who benefited. There have been difficult days, though. Parents don’t always appreciate Collins’ advice, she said, and kids aren’t always happy when she expects more from them. That goes for the crime and violence, too. 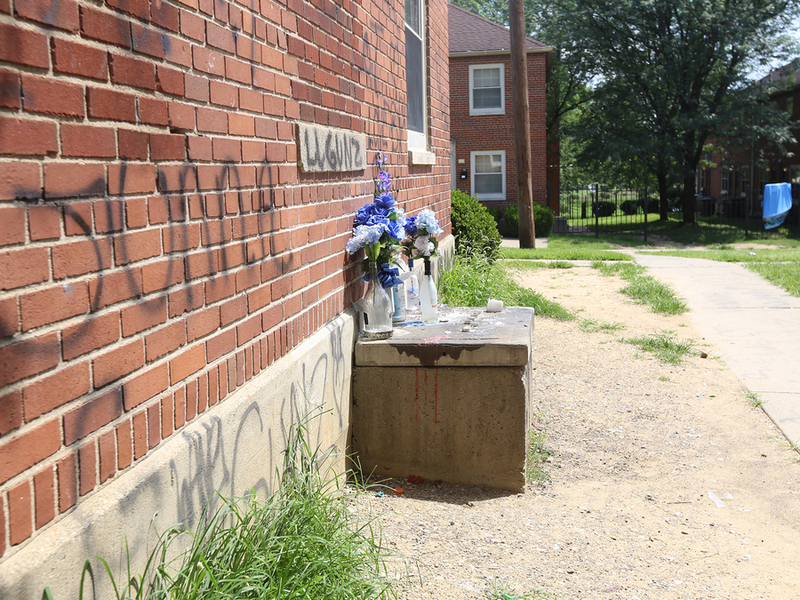 Collins was heartbroken when her 30-year-old neighbor, Duran Vaughn, was shot and killed on June 10. He lived just around the corner from her place. Those are the times that Collins worries for her two sons who live with her and for all the children of Winton Terrace. Still, she’s determined to stay. She wants to build up her cleaning business and get certified to work for CMHA. She has started trimming bushes and placing mulch outside the townhomes around hers. And she wakes up every morning eager to make a difference for her neighbors, even those who don’t appreciate it right away. The people of Winton Terrace already know: She’s Ms. Mo, and nobody better get in her way. Lucy May writes about the people, places and issues that define our region – to celebrate what makes the Tri-State great and shine a spotlight on issues we need to address. She and photojournalist Emily Maxwell cover poverty in Greater Cincinnati for WCPO. To read more stories about childhood poverty, go to www.wcpo.com/poverty .